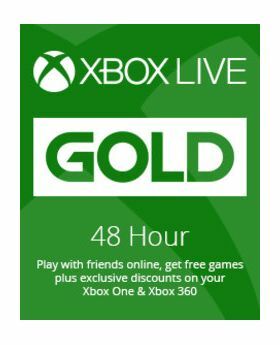 This is a 48 hours Xbox Live Gold Trial Subscription Card redeemable on US/EU/RU accounts. If you have an existing paid Xbox Live Gold subscription, you can’t redeem Xbox Live Gold trial subscriptions from games or console bundles to extend your subscription period. However, you can redeem the prepaid code once your current paid subscription expires. Prepaid codes for Xbox Live Gold trial subscriptions are only available in select games and bundles. 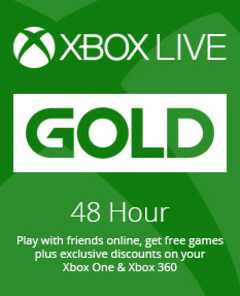 You can’t access Games with Gold for the Xbox 360 with this type of Xbox Live Gold trial subscription. You can’t stack prepaid codes for Xbox Live Gold trial subscriptions from games or console bundles. This means that you can’t start another trial period before your current trial period has finished. However, you can purchase a new paid Xbox Live Gold subscription and start the subscription at any time during the trial period. If you don’t currently have a paid Xbox Live Gold subscription, there is no limit to the number of times you can use this type of Xbox Live Gold trial subscription. У меня были проблемы с ключом но тех поддержка помогла очень быстро устранить проблему!! !